Our store support teams work from our Leicester and Central London sites. From Merchandising to Marketing, IT to Finance, these teams make sure our business continues to grow and delight our customers. Always on the look-out for inspirational design and high quality, this team sources new products our customers will love at prices they can afford. That means being on top of trends, researching new product areas and developing strong relationships with suppliers. The rise of online shopping places technology at the heart of modern retail. Based in Leicester and Central London, our Technology team are working across web design, development, testing and installing new technology, as well as maintaining our IT infrastructure and supporting our colleagues with day-to-day technology issues. All of our IT expertise is in-house. 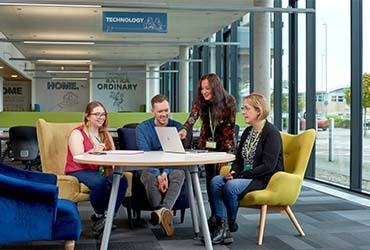 As part of our journey in becoming a customer first business, our Technology teams are organised cross functionally in squads, working together, sharing ideas and challenging each other to deliver the best solution for our customers. And we do this by working with cutting edge technologies - it's exciting to be a part of our future. Marketing drives how we communicate with customers to create an engaging experience. We design catalogues, keep our website up to date, create in-store display materials and produce packaging. We also look after the Dunelm brand and run our social media and PR channels. The Digital team manage all aspects of our online business, trading the website, reviewing and analysing product performance, constantly improving our customers’ online experience. 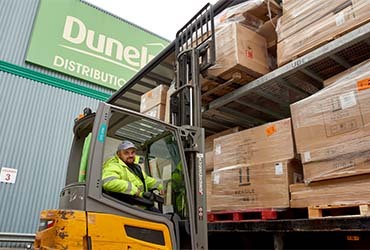 We search the globe for the best products for our customers and it’s the job of Supply Chain to make sure that the right amount of stock arrives in the right place at the right time. We do it by building great relationships with suppliers and shippers all over the world. Managing money well is vital to our success. Our Finance team supports our trading teams to make the best commercial decisions, collates customer transactions, balances the books, and manages procurement. We also analyse financial data to identify patterns, trends and opportunities that we can use to help us grow. This team supports the smooth day-to-day running of our stores on a UK-wide basis. That means communicating about workload and activity, managing risk, ensuring health and safety, and overseeing the running of our coffee shops and made to measure departments. 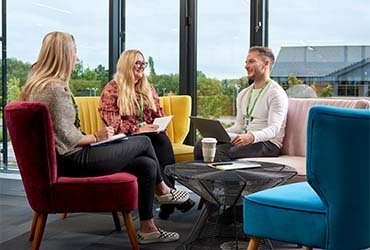 We look after the people side of our business – everything from recruiting great colleagues to ensuring we all have the training we need to deliver a great job. 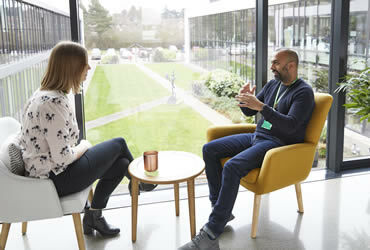 Our People Managers are business partners to each of our departments, helping to support our colleagues and to making sure we provide a great place to work. 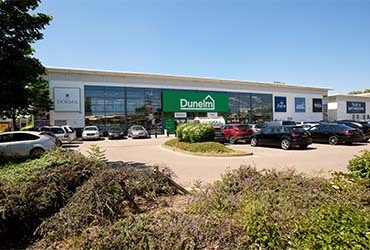 We acquire new sites and refurbish them to meet Dunelm requirements, setting up new stores and refitting our existing ones. After that, they’re turned over to our Maintenance team in Leicester, who keep everything shipshape. Every day is different here. For Fareeaa, job satisfaction comes seeing the success of a project that she’s contributed to. 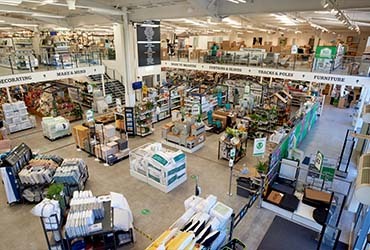 Dunelm have 4 key principles, they are: sell more, be committed, keep it simple and do things our own way. Fareeaa sees these principals every day in the IT department as no matter how large or small a project is, everyone works together to deliver projects for their customers. 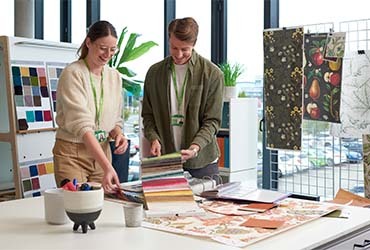 "Be who you are, work together and motivate each other and you’ll be able to develop into anything you’d like here at Dunelm." Our Store Support colleagues are based in two locations, Leicester and London. 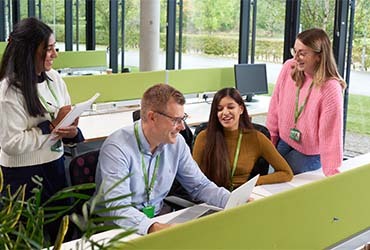 Here our team enjoys working in a purpose-built modern, open - plan office with a number of break-out spaces, an on-site cafe serving hot and cold food and drinks throughout the day and table tennis and netball facilities.There is plenty of free on-site parking and good public transport links. 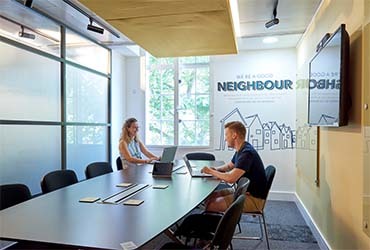 Located just a short walk from Covent Garden and Holborn, this new office space has lots of break-out areas to enable our team to work flexibly. If you pass initial screening, you'll be invited to a two-stage interview process. In this, you'll get to meet key members of the team and your hiring manager. Some departments will require work-related projects are completed prior to attending the interview and you will be asked to complete an online personality questionnaire ahead of the interview to help us get to know you. I always look forward to when a project does go live because you can see the success of what you’ve contributed to.